Intel is set to release its first 8-core mainstream processor in the autumn. This Coffee Lake refresh part will pack in two more physical cores than the top-end 8th gen Core processors avaliable at the time of writing. Even the desirable new Intel Core i7-8086K (14nm) special edition anniversary chip, reviewed by HEXUS this morning, is a 6C/12T processor. The source PC-Watch report (Japanese, with in-line translation facility) contains information garnered from Computex 2018. The main assertions are based on talks, behind the scenes, with several OEM manufacturers, so please be aware that they might not come to pass. Intel will create its first mainstream 8-core processor(s) in reaction to the strength of AMD's mainstream CPU performance in multi-core applications and benchmarks. The new octa-core Intel processors will be use the LGA1151 socket and 300-series chipset say the sources. TechPowerUp commented upon the Japanese report and thinks that the new 8-core Coffee Lake chips could use Intel's classic 'Ring Bus' design. September is likely to be the launch month for these top-end consumer chips, after Intel has cleared up the distorted relationship now evident between its Core and Xeon series processors. A refresh is also on the way for the Basin Falls HEDT platform (LGA2066, X299 Express chipset). According to the report this is a new die with four more tiles than Skylake HCC silicon. 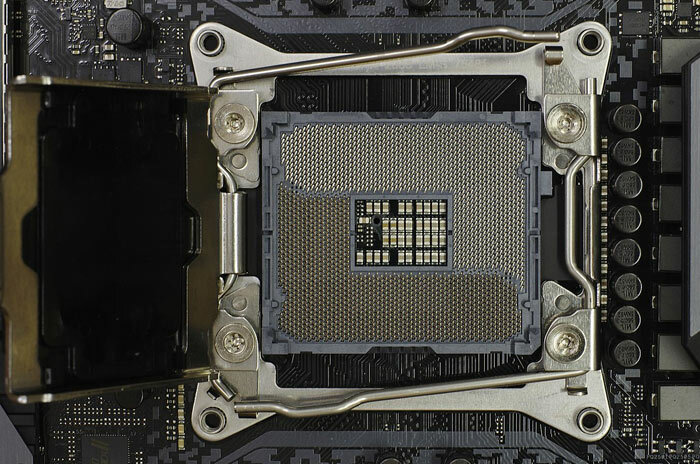 Building upon this die, Intel will be able to design 20-core and 22-core SKUs. TPU reckons these SKUs show Intel fighting back against AMD's 24-core Ryzen Threadripper II processor, which was recently shown beating the 18-core i9-7980X in tech demos. If you are wondering about Intel's 28C/56T processor demo at Computex. This processor, due in Q4 this year, isn't compatible with LGA2066. 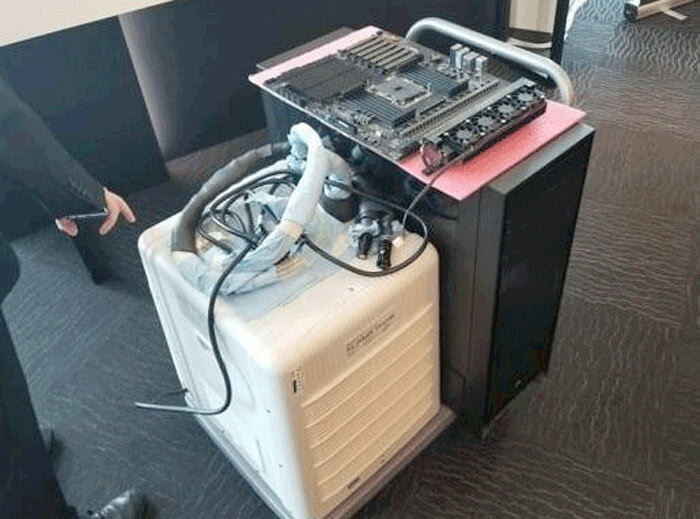 Furthermore, during its 5GHz Cinebench demo the chip was overclocked and supported by cooling system featuring a one-horsepower industrial water chiller (see image above). Where did it say that? Anyway, Intel usually has two gens per chipset, so this could be right. The article said that they should support 300 series boards with the same socket as 8th gen.
Can't get more “pin compatible” than that. As for full support/compatibility, it's hard to say Intel can go either way, they could use the same excuse as with 7th gen in saying with two extra cores you need better power delivery so in that regard probably not.